As one of many subspecialties offered at Valley Children’s, the Cancer and Blood Disorders Center provides the breadth of specialized services and depth of experience to treat the most common to the rarest pediatric hematologic and oncologic conditions. The annual report for Valley Children's Cancer and Blood Disorders Center provides a glance back at a year of the Center's progress in research, collaborations with partner institutions, rare diseases treated and community outreach efforts. 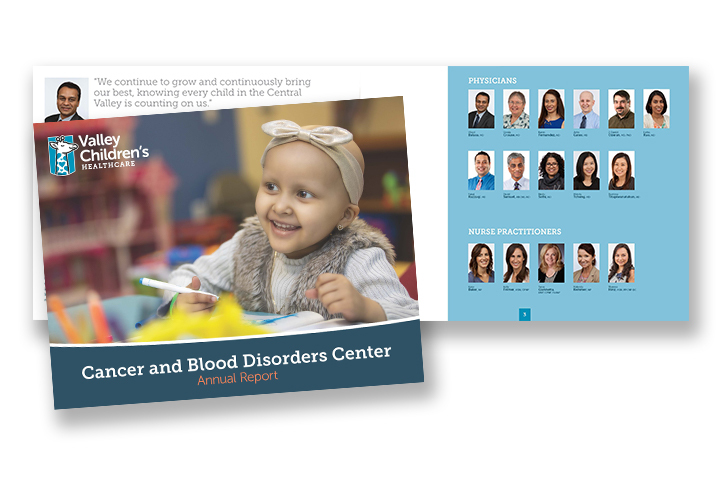 Click here to open a PDF version of the 2018 Cancer and Blood Disorders Center Annual Report.